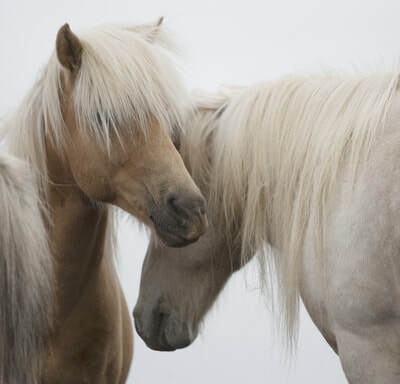 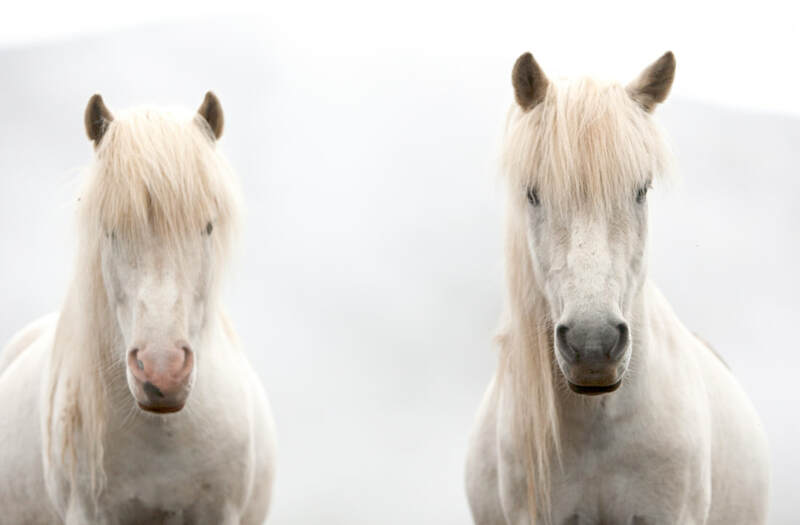 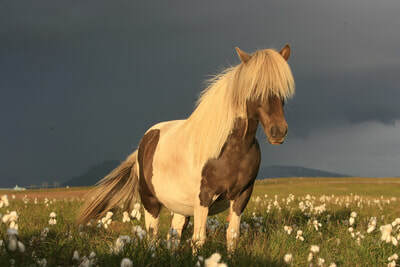 The Icelandic horse is a small breed of horse that has evolved in isolation in Iceland. It is indeed a horse and not a pony. 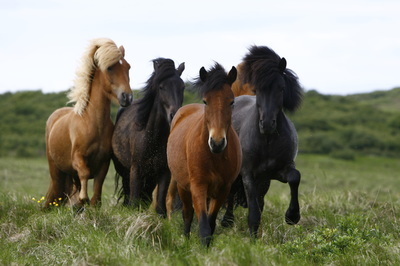 They are small, but strong and very tough! 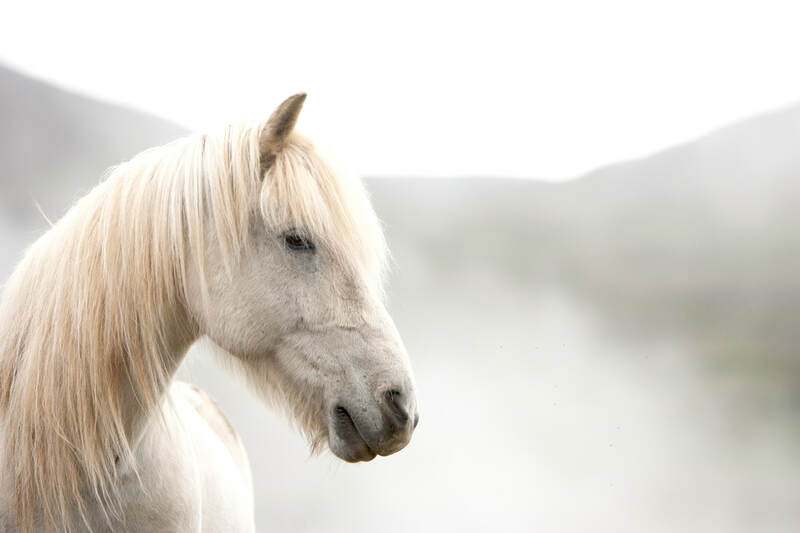 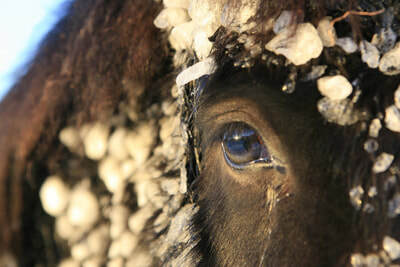 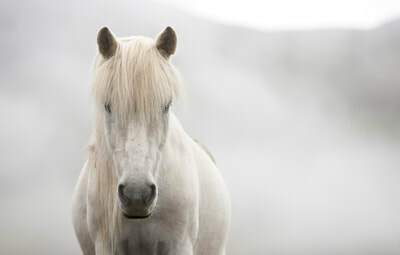 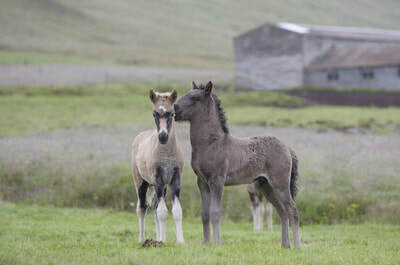 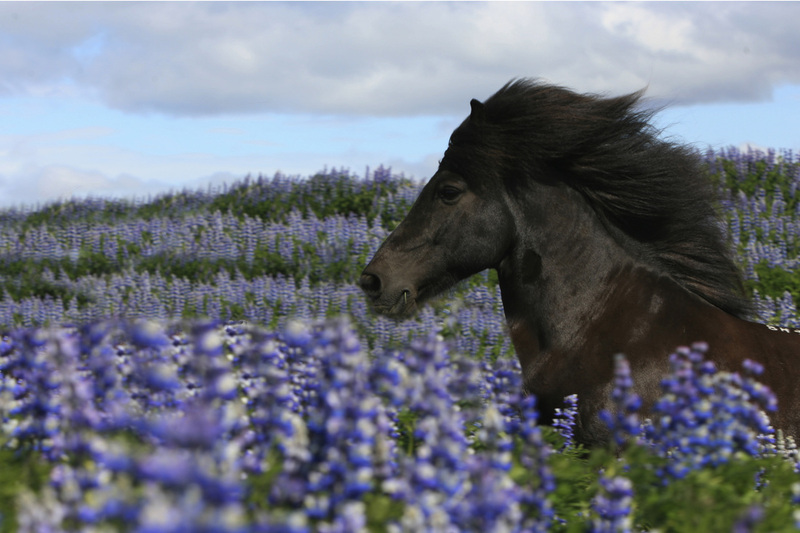 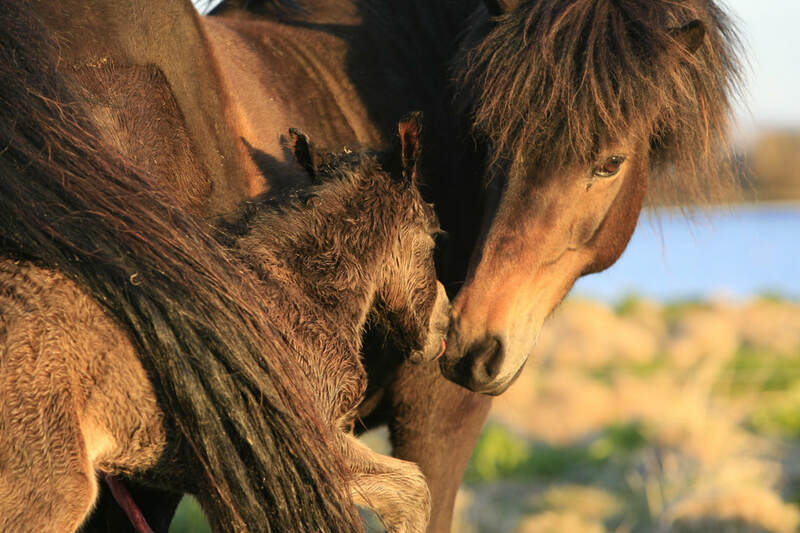 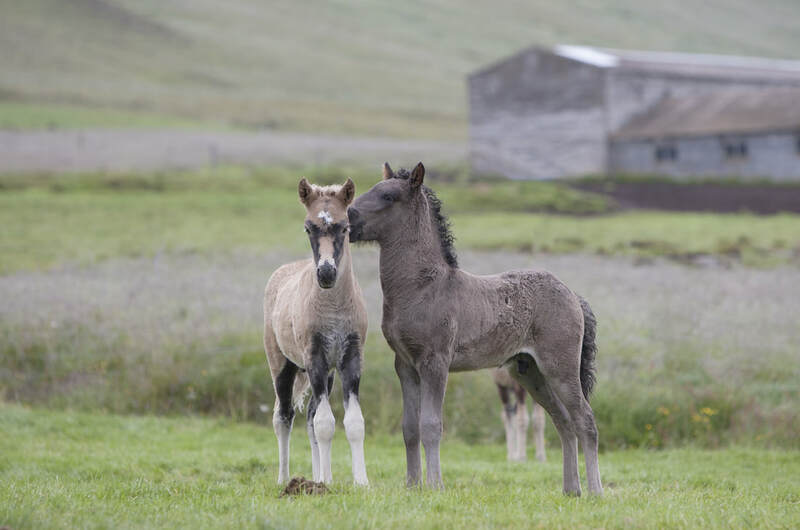 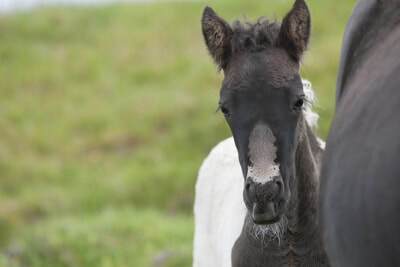 The horse has survived in Iceland for 1100 years without any crossbreeding. 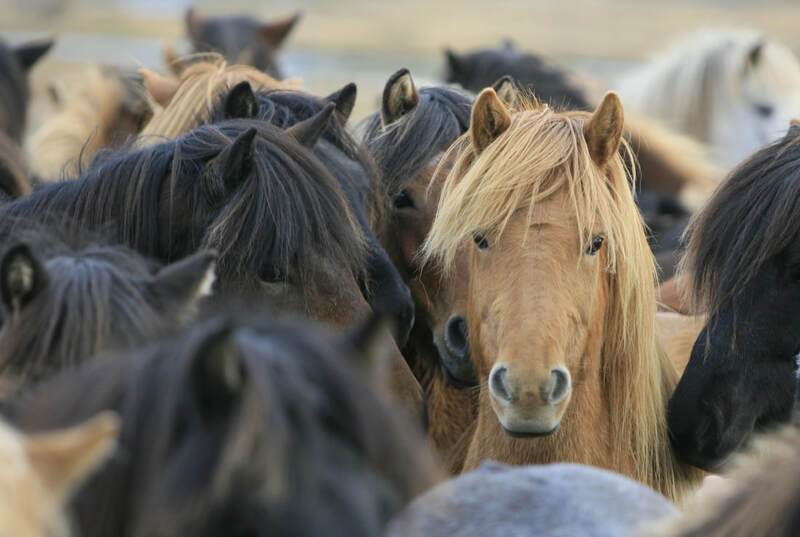 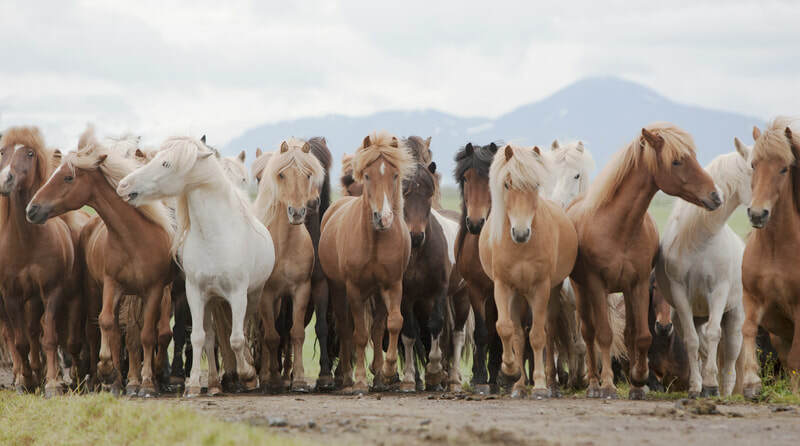 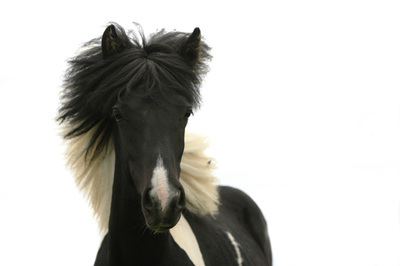 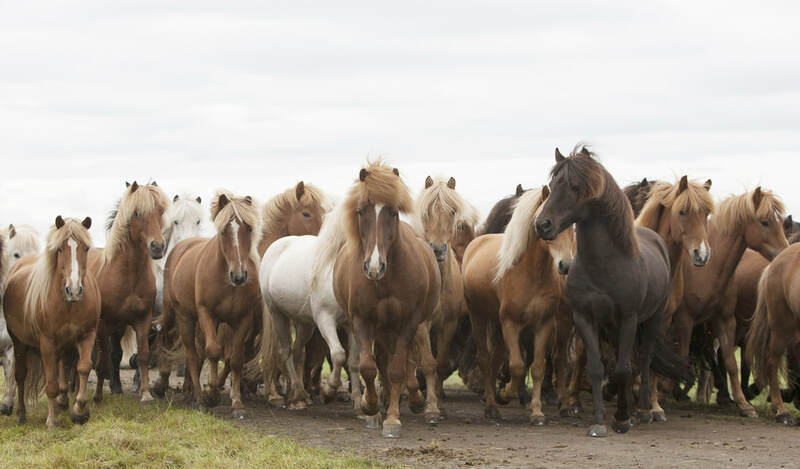 The Icelandic horse is relatively small, its average height ranging from 132 to 145 cm high. 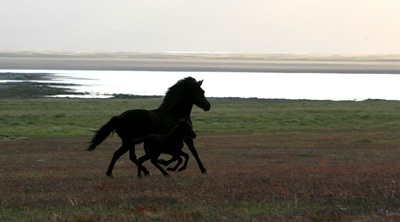 Still is is so strong that it can easily carry a full grown adult. It has a spirited temperament and a wonderful personality. It comes in over 100 different colours and colour patterns, even colours you wouldn´t find among other breeds. 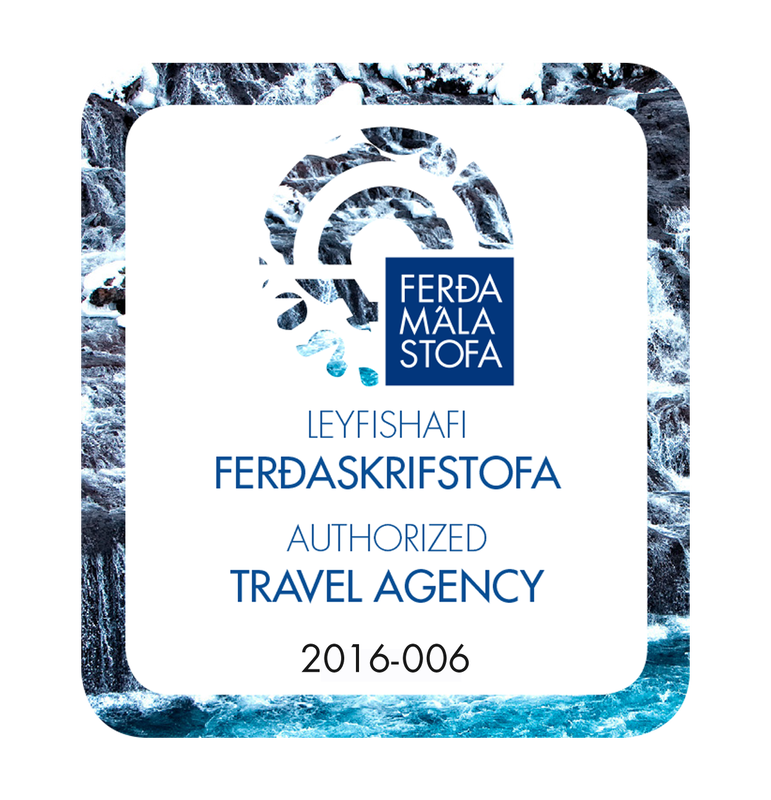 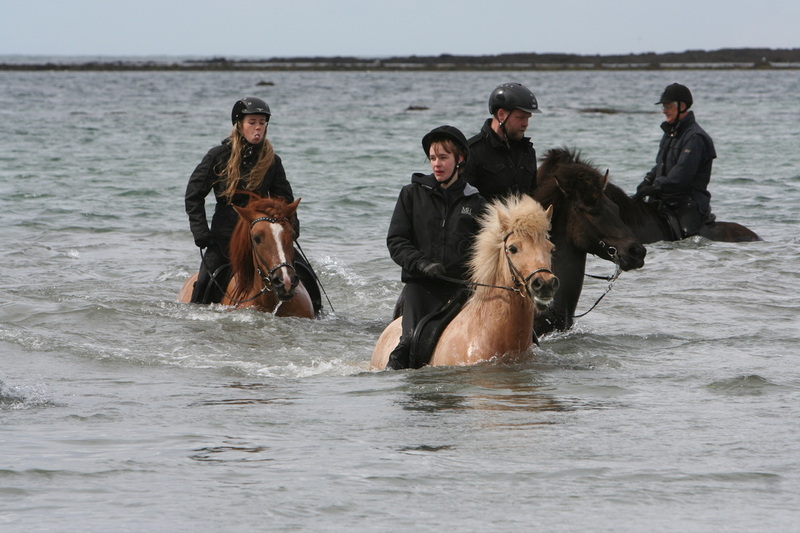 Our horses are known for their extreme sure-footedness and ability to cross even the roughest terrain, glacial rivers and lava fields. 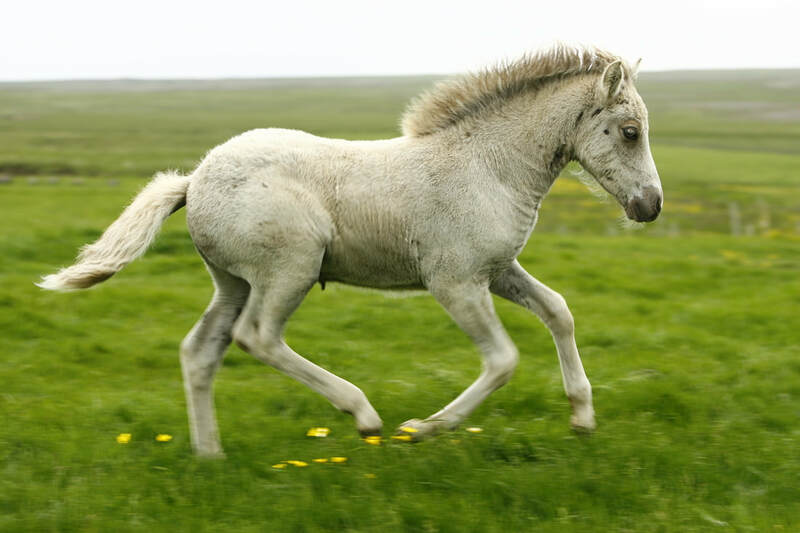 It has two additional gaits. Beside the walk, trot and gallop you find in other horse breeds it also has the ability to perform the tölt and pace. 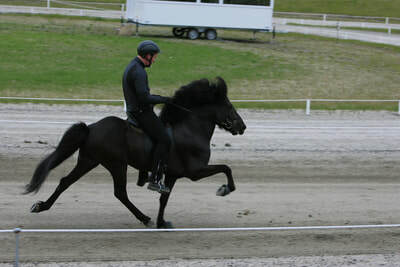 The tölt is a four-beat gait where the sequence of foot falls is the same as in walk. 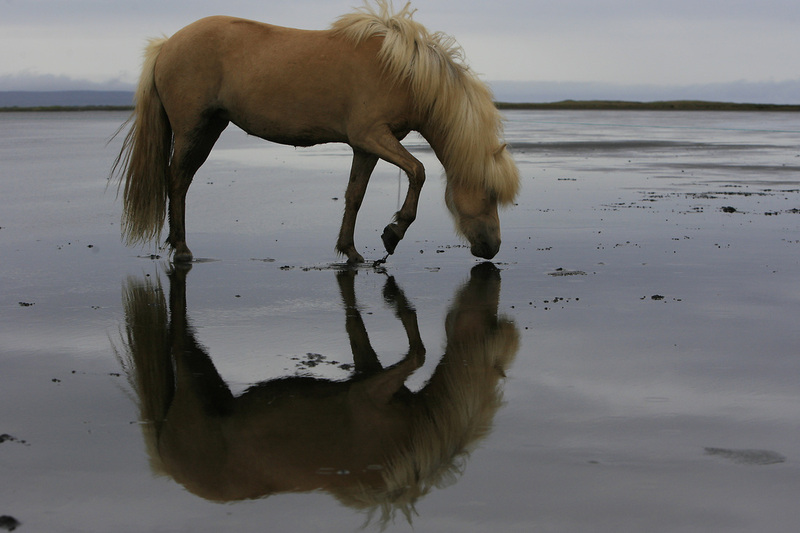 This means that at least one foot is on the ground at any time. That being the case, there is no period of suspension within the tölt. 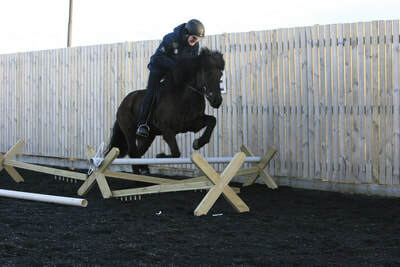 This lack of suspension in the gait means it has a smoothness which is comfortable for the rider as there is no time when the horse bounces the rider out of the saddle. 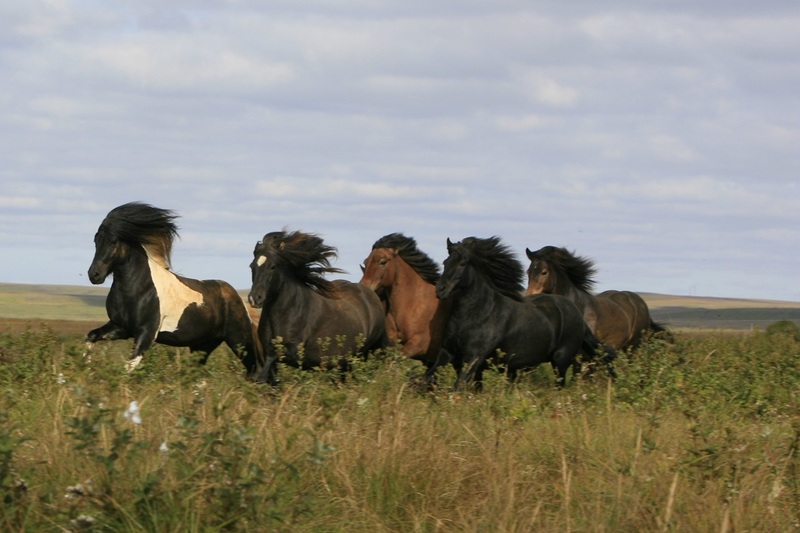 Some of the horses can also do the „skeið“, the "flying pace". 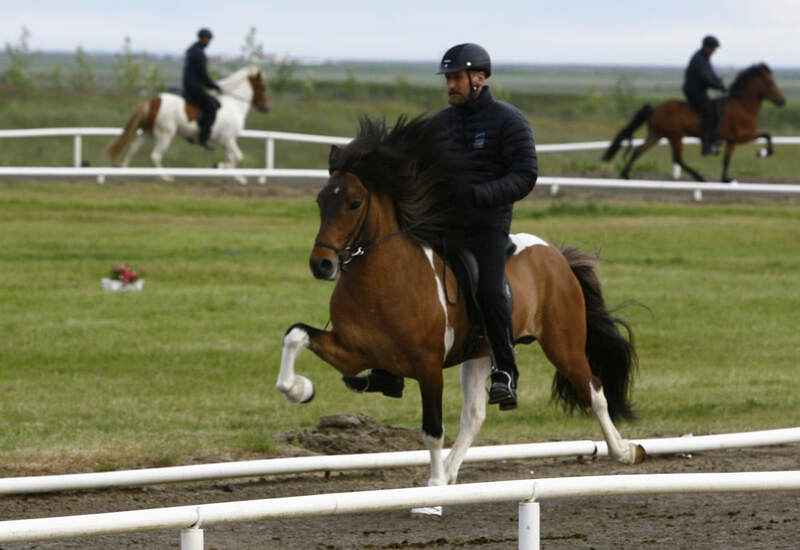 It is used in pacing competitions and is very fast – even sometimes faster than a full speed gallop. 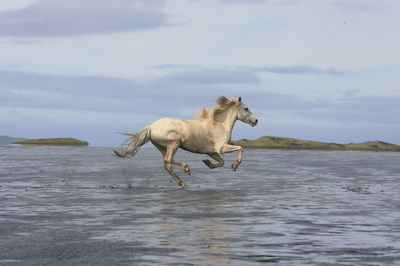 Some pacers can go as fast as 50 km/h but it is not a gait we use for long distances. But the most exciting thing about our horses is their friendly „will to go“. ​We love to refer to them as our good natured „Porsches“ - with the speed but without the pollution!